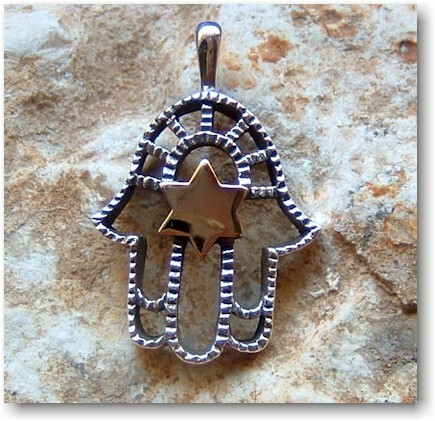 This is an exquisite handmade Jewish Star of David amulet was created by Nisan and his sons in Jerusalem, Israel. 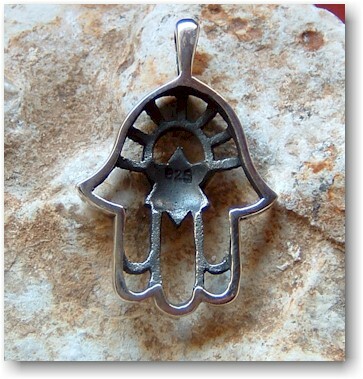 Nisan and his family have been creating fine Jewish jewelry in Jerusalem for more than 3 generations . It comes with a 17" silver necklace. 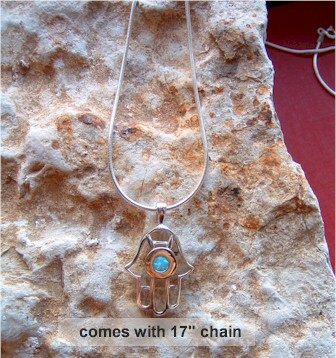 Each piece is individually handcrafted by the artist and not mass produced. 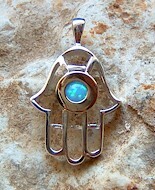 It is made of 825 Sterling silver and 14k gold. 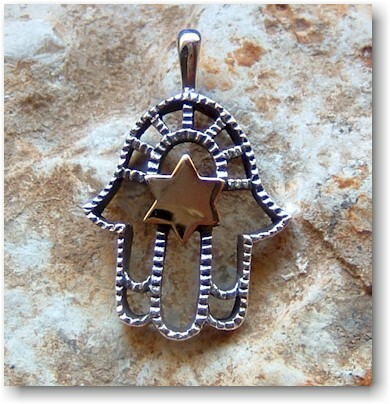 The Star of David is a separate piece which is bonded to the hamsa base. 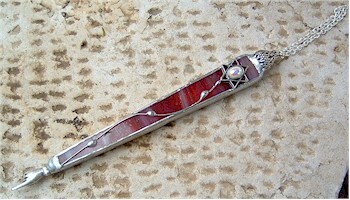 This is a wonderful gift for anyone who enjoys Jewish art, Jerusalem, or just fine jewlery.